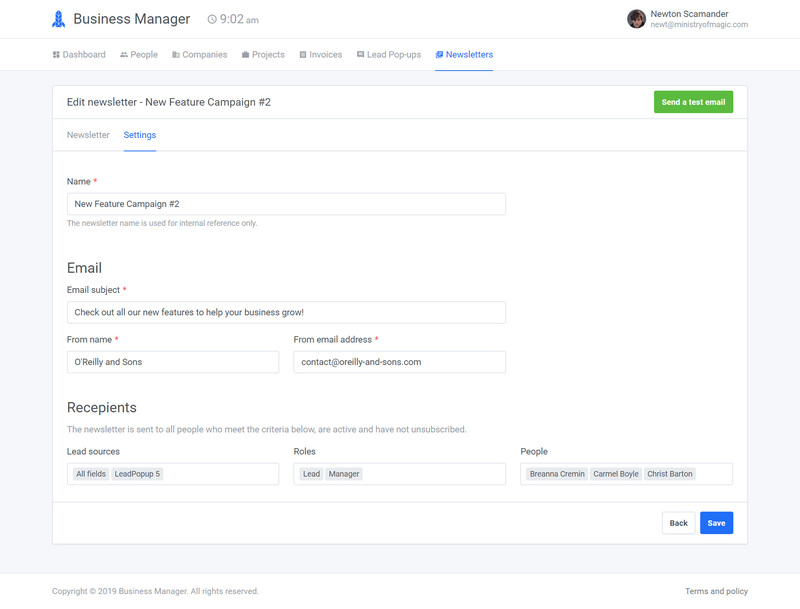 NOTE: This is an add-on for Business Manager. 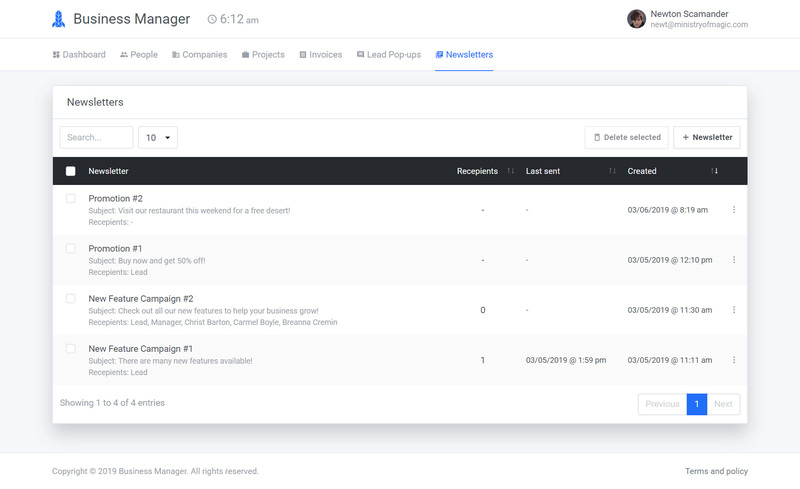 Business Manager is project management & business development software. 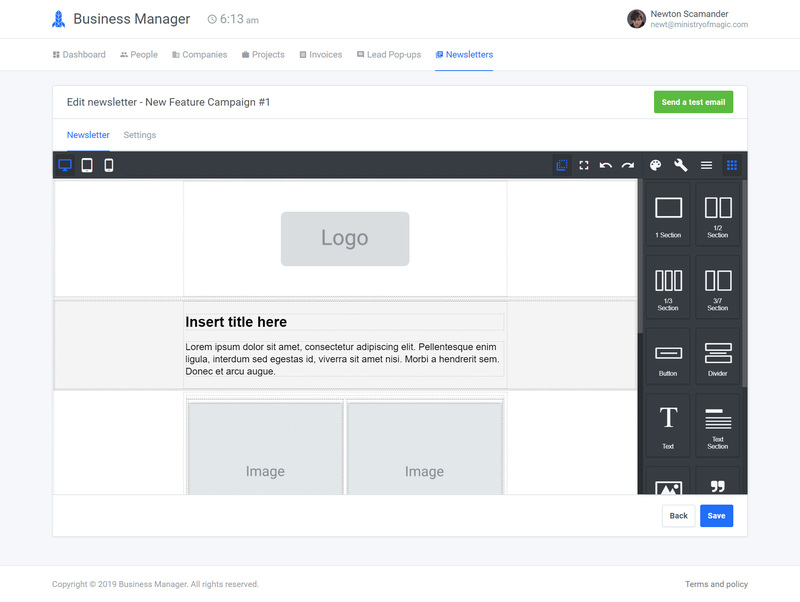 With the Newsletter add-on you can create and send simple newsletters to lead sources, roles and users. 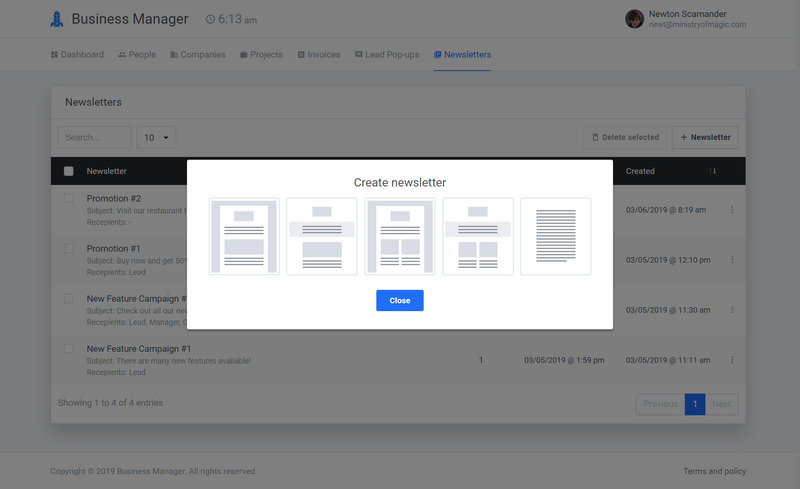 Create newsletters with the drag & drop email builder. Try the online demo to test the add-on. All source files are included, please read the FAQ carefully before purchase. If you have any questions, let us know!